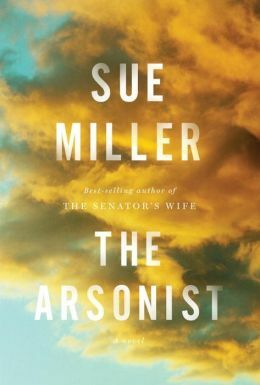 In The Arsonist, Sue Miller connects real fires set by an unknown pyromaniac to the fires that burn within two women – a mother and her daughter – as they struggle to be true to themselves and find home. Drawn to their own work, Sylvia, a part-time college instructor, and her daughter, Frankie, an Aid worker in Africa, are reluctant to trade independence and self-worth for a shared life in a place neither wants to be – yet they both do – for awhile. Love, of course, is the great motivator. Frankie returns to her parent’s rural New England home, after years of working in Africa, trying to decide if she should return to her work or stay away from the country she has adopted. Her father, a retired college professor, who is showing signs of dementia, continues on a steady decline throughout the story, while her mother, Sylvia, is bristling with the responsibilities she must suddenly assume, and restless over losing her own way in life as she followed the husband she no longer loves. Frankie meets Bud, the small town newspaper owner/editor, who left the political maelstrom in Washington, D.C. during the Clinton presidency, to assume the more ordered and calm life of the country. His somnolent reports of high school sports, births and deaths, teas and dances, are suddenly jolted by the fires that destroy the opulent summer houses in the town. With each new fire, the normally sleepy town becomes restless, with townies pitted against the flatlanders. The search for the arsonist carries the plot, yet Miller’s observations of human nature are the real story. Eventually, the arsonist is caught – perhaps. And, by the end, all the characters’ personal journeys are resolved – somewhat. The ending might not fit with some readers’ expectations of self-realization for the characters, but I could relate to the unsettled feelings that seemed more realistic than a pat resolution. Miller leaves the reader wondering about the concept of home. This entry was posted in authors, book review, books, mysteries, reading and tagged Africa, Arson, Arsonist, family relationships, Frankie, mystery, Sue Miller, Summer house, Sylvia, The Arsonist, the concept of home, you can't go home again. Bookmark the permalink.